During our first trip to New Orleans, we enjoyed so many amazing new dishes and snacks including the classic muffuletta sandwich. 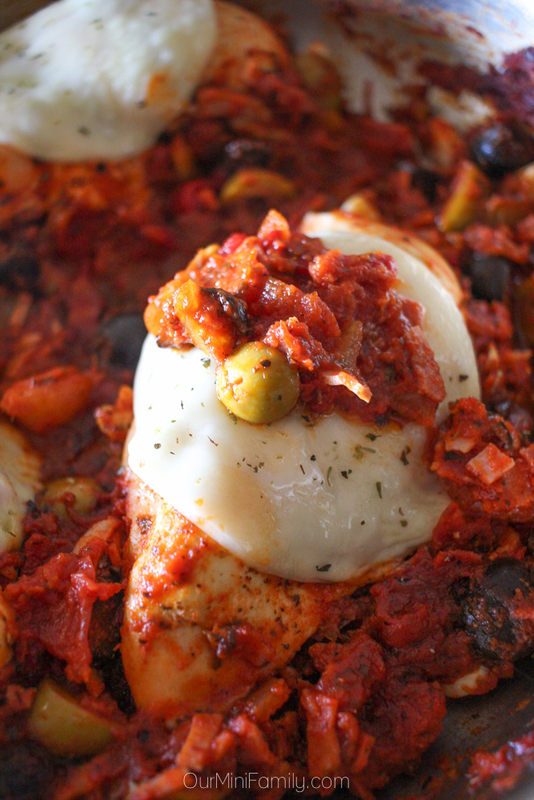 This flavorful, easy-to-make one pan muffuletta chicken recipe inspired by NOLA's favorite sandwich was developed in partnership with Musco Family Olives--this recipe takes us right back to the Big Easy! Coming back from our trip to New Orleans, Adam and I were blown away by just how incredible the food was in NOLA. 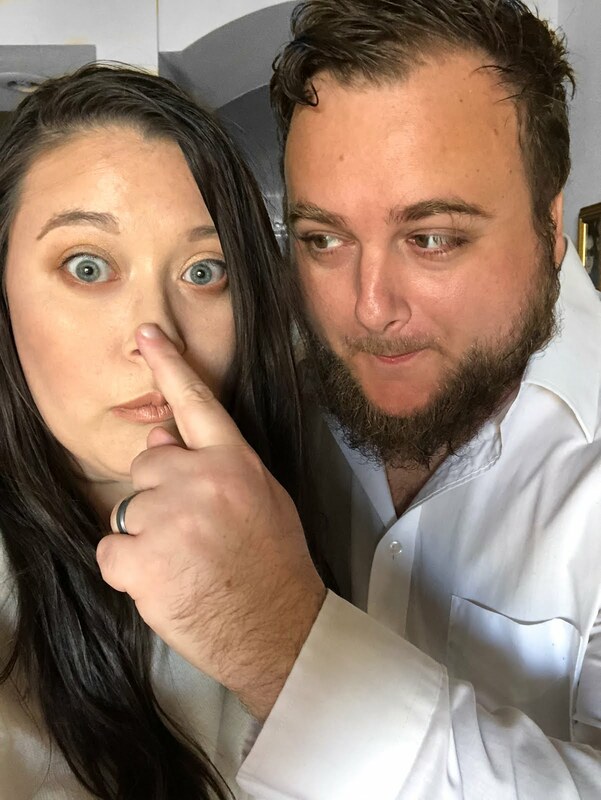 We had heard that they had yummy food down there, but we were just not prepared for how delicious all of our meals would be and the incredible flavors they enjoy that we don't often get to have here in the Southwest. We tried many New Orleans staples and sampled a bounty of different foods for the first time. We ventured off the beaten path and explored a little bit outside of the French Quarter, and then we spent a lot of time checking out every recommended restaurant around the corner from Bourbon Street and did end up checking out so many spots in the French Quarter, too. Among the foods we tried in the French Quarter, one that stood out was muffuletta! Traditional muffuletta that we tried in New Orleans is a sandwich on Sicilian sesame bread, but rather than fill up on bread, we substituted the recipe with chicken to fill up on protein! A muffuletta sandwich is stacked with olive salad seasoned with seasonings like oregano and garlic, Swiss cheese, provolone cheese, salami, ham, and mortadella and cut down the middle. For this one pan recipe, we simplified the recipe down to what we think are the essentials (and added a few others) and some of our favorite parts of the muffuletta sandwich we tried for the first time during our visit to NOLA! Spray a large stove top skillet pan with non-stick cooking spray. 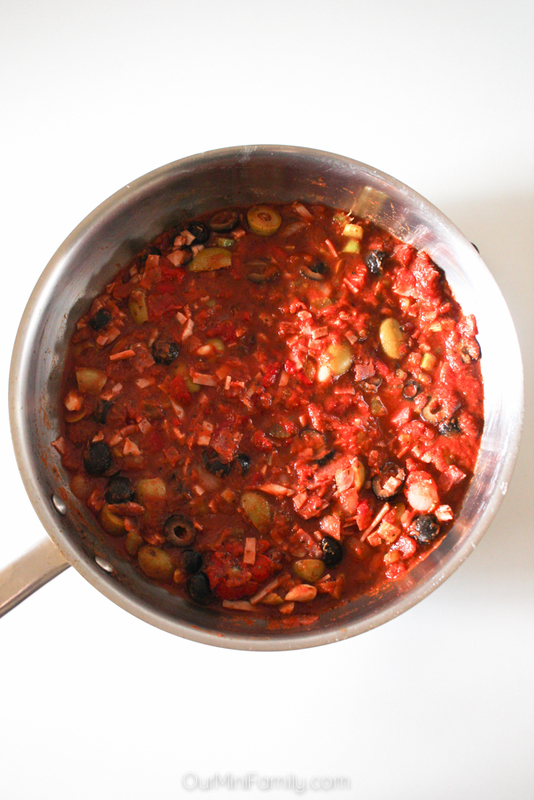 Pour the pasta sauce into the pan and put the heat on warm/low. Chop and prepare the olives, ham, salami, cocktail onion, celery, and roasted red peppers. Add them into the pan with 2 tablespoons of Italian herb mix and stir. Wash, dry, and carefully place the chicken into the pan and submerge the bottom half in pasta sauce. Turn the heat on the pan up to medium-low heat and cover. Cook the chicken for 12-15 minutes and then remove the cover to the turn chicken over. Stir the pan and scoop the pastas sauce mixture on top of the chicken. Place the cover back on, and cook for another 10-12 minutes. Check the temperature of the chicken (once it is 165 degrees Fahrenheit it is cooked). Once it is almost completely cooked through, place a piece of provologne cheese on top of each chicken. Cover and keep it warm until it's completely cooked and the cheese has melted. 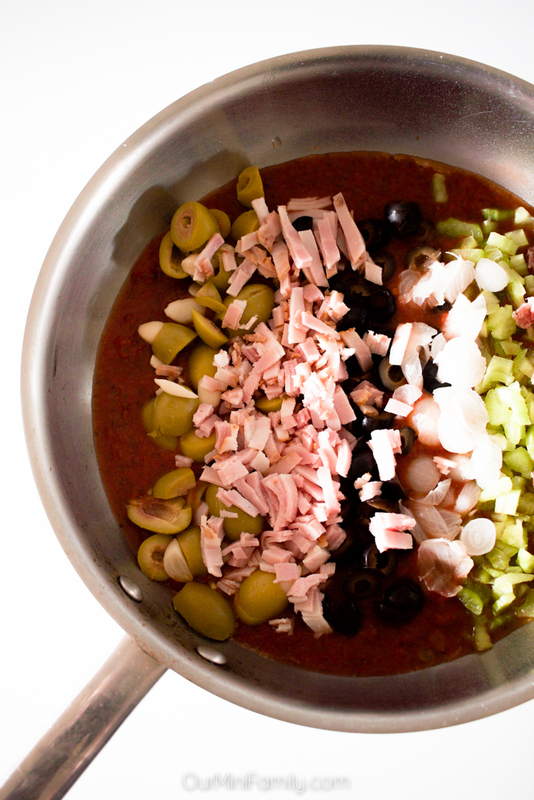 Scoop some of the pasta sauce muffuletta mixture on top of the chicken. Serve hot and enjoy! 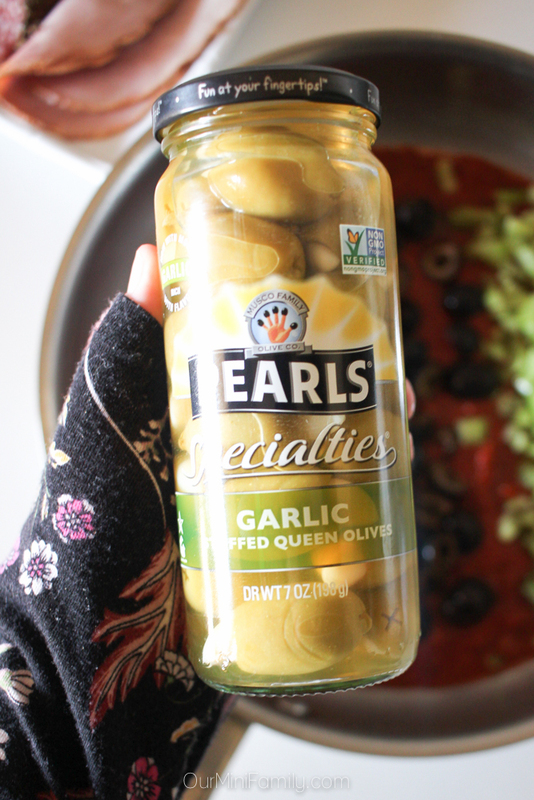 When we first tried the Pearls® Specialties Garlic Stuffed Olives, we knew they would be perfect for our muffuletta chicken recipe! 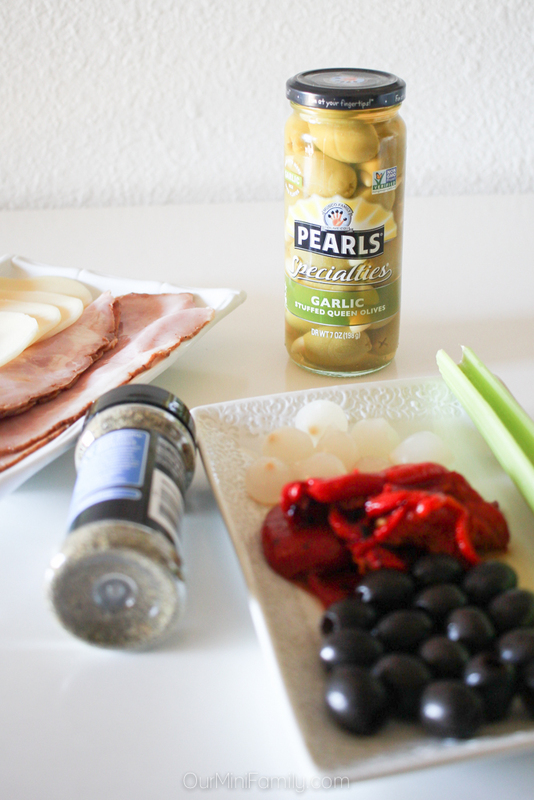 These little olives pack a lot of flavor in just one small bite! From cocktails to appetizers, side dishes to main courses, there are so many ways to make use of olives like the ones we used for our muffuletta chicken recipe. 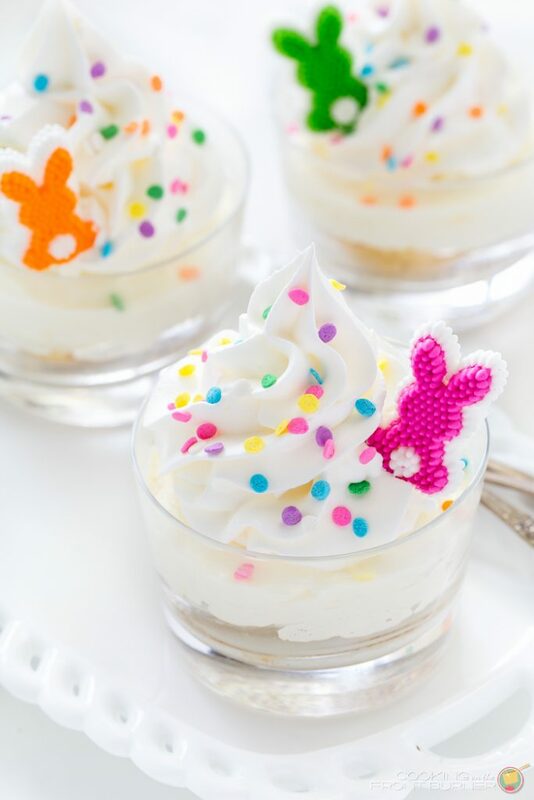 You can find even more olive recipes here on the Pearls® Specialties site for some delicious and creative snacking and entertaining ideas this spring! Life is Better With Pearls®! Learn more on their site here! Oh my gosh, this looks amazing!! I love New Orleans, I love muffulettas, I love olives. What a unique idea to take it from sandwich to dinner plate. Definitely pinning this. This sounds interesting, I will add New Orleans to my list of places to travel and eat Muffulettas!. Love how comforting this dish looks. Thanks for sharing this recipe. I love recreating recipes from vacations. It always makes me feel like I'm extending my vacation. ;) And I've never had muffuletta, but you've made me want to try it! Love New Orleans! An amazing city with amazing food! This looks so mouthwateringly delicious! My family would love it for sure! this recipe is loaded with tonnes of flavors. New Orleans is definitely on my list to visit. This looks incredibly flavourful and delicious! 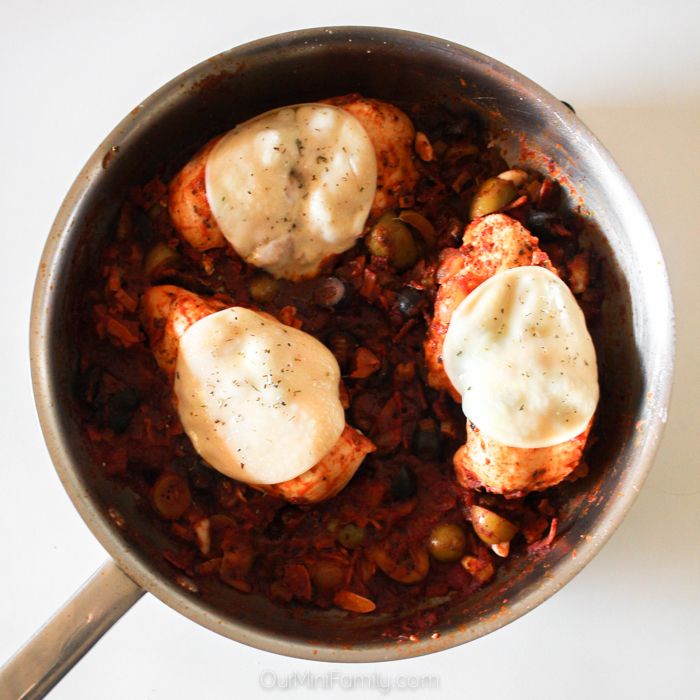 Love all the ingredients in this especially the garlic stuffed olives! YUM! Yum! This looks delicious! 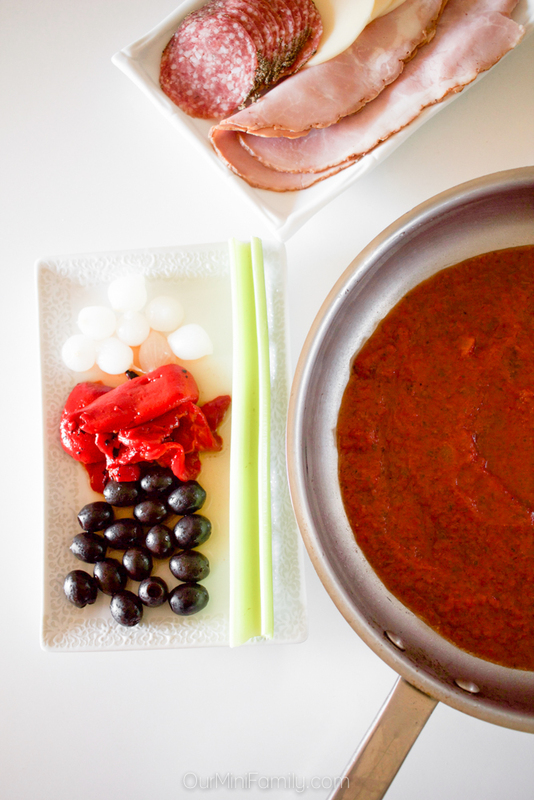 I'll have to step out of my comfort zone and give this recipe a try one day! This is brilliant! 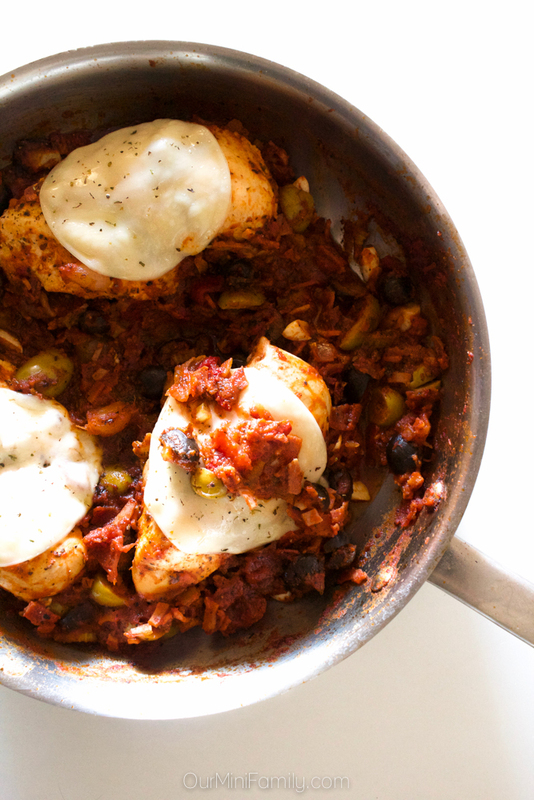 I love the flavor combinations in this dish! Bring on those green olives! YUM! Eating my way around Louisiana and the bayou has been on my bucket list for a long time. Living in Minnesota, it seems so different than what I'm used to! Since it's still going to be awhile until I can visit, I'm going to have to try to make muffuletta to get a taste. ;) Thanks! I love muffaletta sandwiches, so I expect it would be just as awesome on chicken. Great recipe, my fella would go crazy for this! This looks so yummy! Wow, I want to eat this so bad! Olives RULE!